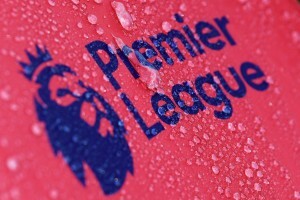 Far away from the noise of the Clasicos, a delicately poised Premier League finish, the talk of AC Milan wrapping up the title in Italy and the impending Champions League clash between FC Barcelona and Manchester United, there is one team which has been tearing apart opponents in their quest for European glory. Porto FC has taken Portugal and Europe by storm, comfortably winning the domestic league, staying unbeaten, and making their way to the Europa League finals; and this unprecedented success can be attributed to the genius of one man – Andre Villas Boas. If you thought the rise of Mourinho was a fairy tale in itself and cannot be possibly replicated, take a deep breath and continue. Impressed with this short stint at Academica last season, Porto, who had finished third in the league, signed the then 32-year old ‘amateur’ coach. In his first full season as a manager, Villas Boas has managed to draw the attention of every major club in Europe, thanks to his accomplishments. Villas Boas admits that he wanted to be a football player; but after realizing he was not a very good midfielder, he decided to become a coach. Then he met Sir Bobby Robson, who gave wings to the dreams of a sixteen year old. But how exactly did Villas manage to impress the great Sir Bobby Robson at such a young age, prompting the latter to enroll him in coaching schools? When Robson was the coach of Porto in 1994 (Incidentally, Mourinho was his translator), he used to leave the free-scoring striker Domingos Paciencia on the bench too often. Villas Boas, who lived in the same apartment block as Robson, wasn’t impressed much with the coach’s decision; but he was too shy to approach Sir Bobby, and hence decided to voice his discontent by writing a letter to the great man. Impressed with the content of the letter, Robson called upon Villas Boas and challenged him to prove his point by collecting statistics and reports of the next few Porto games. Villas Boas delivered such a detailed and impressive report ,that Robson immediately incorporated him as a trainee with the club’s youth-team coaching staff, and enrolled him at Lilleshall for a coaching license. In an interview with the Independent, Villas Boas recalls his humble beginnings. “When Mr. Bobby Robson came to Porto to be a coach in 1994, he moved into my building. I was a small boy, but because I was so interested in football I went to his flat to try to meet him. After eighteen months and an invaluable experience, he returned to coach the Porto U-19’s. When Jose Mourinho took over as Porto’s coach, he already knew about Villas Boas during his time as assistant to Robson, and took no time in appointing him. He asked the young man to create an Opposition Observation Department(OOD), which would analyse the oppositions tactics, trainings and players, and prepare a full fledged report for the Porto players so that they go to the field fully familiar with the oppositions’ strengths and weaknesses. “Some managers prefer to concentrate more on fitness or mental, but Jose likes to marry all aspects of coaching. He does a lot of physical and tactical work on the field, but believes that you can also benefit greatly from careful analysis and planning. Such detailed dossiers and brilliant reports earned him the title- ‘Director of Opposition Intelligence’. Mourinho himself had called Villas “his eyes and ears”, and such endorsements by the Special One landed Villas Boas his first professional club contract as a manager. Villas Boas did not disappoint in his new role; he lifted a team at the bottom of the league without a win, described by the press as ‘dead’ , to a respectable eleventh position, and then astonishingly led them to the Portuguese League club semi-finals before crashing out against his future club Porto. His style drew attention, and the way he managed impressed Porto; they sacked their manager, Jesualdo Ferreira, to pave the way for Villas Boas, and the rest,as they say, is history. In his first year in charge, the Portuguese has managed to set a plethora of records at his new club, winning the Portuguese league without losing a single game and being on the verge of winning the Europa League, just like his mentor, Jose Mourinho. Porto have dismantled teams with confidence, which shows in their brilliant performances against Villarreal, Spartak Moscow and Benfica. Wikipedia lists Villas Boas’ records in his very first season. The club record for the most matches across all competitions unbeaten (36). This record was previously held by José Mourinho at 33 matches. Part of this streak was completed by the previous coach of FC Porto, Jesualdo Ferreira. At the start of the season, Porto sold its major players in Raul Merieles and Bruno Alves ,and many expected that it would impact the club’s future. But Villas Boas changed it all. He employs a more fluid 4-3-3, where wingers sometimes push as forwards depending on the match. An interesting point and a major difference between the mentor, Jose Mourinho and his student is that Villas boas is a manager with more attacking flair. His teams tend to attack more, and thus score more goals. Also, he is less cocky and looks more self-assured. With forwards like Hulk and Falcao, the new Portuguese sensation set the Portuguese League and Europe on fire, as his team crushed opponents convincingly and have assured themselves a place in the Champions League next season. It would be interesting to monitor Villas Boas’ movements over the summer, with many clubs being linked to his signature. He is not exactly a coach with one year experience, but a tactician who has been planning and observing the oppositions and his teams’ strategy for more than a decade. He has immense knowledge of the teams in Portuguese, English and Italian leagues; this priceless experience, coupled with his amazing first full season, is sure to bring many suitors. It’s so hard for the Portuguese tactician to move away from the shadow of Jose Mourinho. Both their stories have so much in common, and people tend to assume that Andre Villas Boas in exactly like his mentor, calling him Mini- Mourinho and Mourinho Mark II. ‘I am not a clone of anyone,’ he said. ‘I want to leave my mark on this club.’ He might deny being a clone, but the superficial similarities with the Special One are too obvious to ignore. 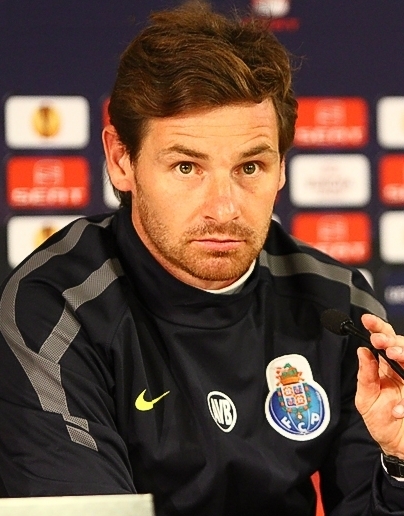 Villas Boas confessed that he would be a manager for only ten years. If the first year at Porto is any indication of the future, these ten years look to be full of glory and titles for the Portuguese wizard.